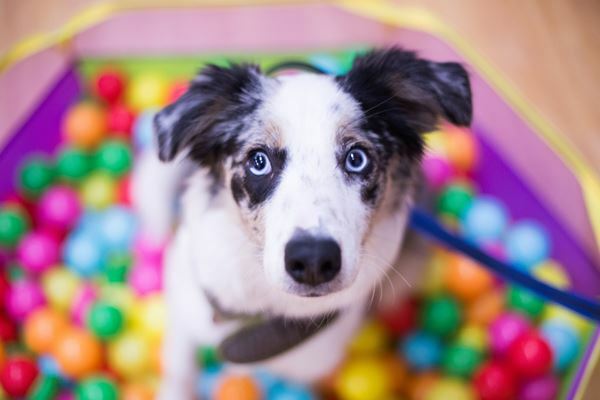 We offer friendly classes for puppies, adolescents, adults and rescue dogs in your local area. All classes are aimed at teaching your dog skills that are useful in everyday life. We want you to have a strong and healthy bond with your dog and enjoy each other’s company. Our classes never have more than six dogs and at least two trainers to make sure that we can devote time to each individual and help you to progress. 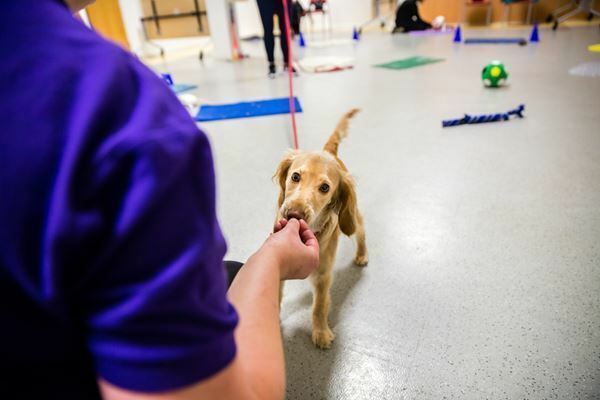 We use science-led, reward-based training to make sure that we get the best results and have lots of fun whilst doing so! In addition to our group classes we can also offer 121 sessions and regularly organise seminars on topics of interest such as separation anxiety and noise fears. At Dogs Trust we have a mission; we want every dog to lead a happy life free from the threat from unnecessary destruction. 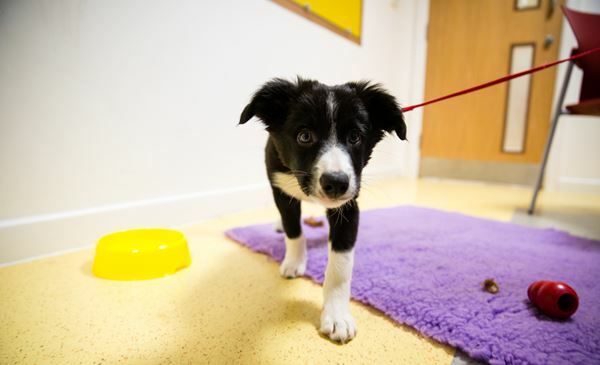 It means that a lot of our work is caring for dogs at our rehoming centres – dogs that need a second chance in life. But it also means addressing the root causes of problems. Every year we receive thousands of calls from people asking us to take their dogs into our rehoming centres, and the biggest single reason they give is because of the dog’s behaviour. So to address this problem, we’ve created Dogs Trust Dog School. 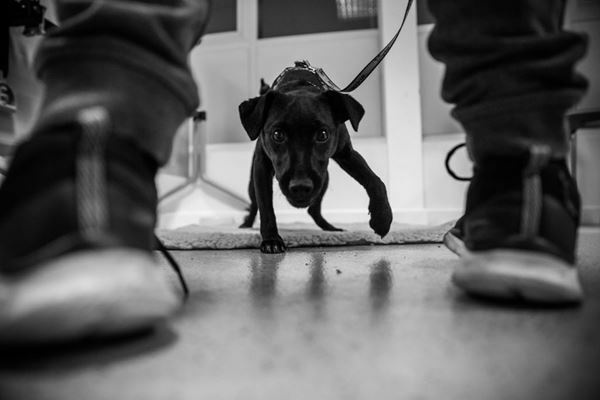 At Dog School we believe in setting our dogs and owners up for success. Most people want a dog that sits when asked, walks calmly on a loose lead, comes back when called and settles down when they stop to natter to their neighbour or have a pint in the pub! Most owners also want their dog to do these things even when there are tempting picnics around, kids running about playing football, or other dogs walking past. The training we do at Dogs Trust is based on teaching these basic behaviours that dogs and owners need for harmonious domestic life. Ruth has a background in domestic animal rescue, helping to rehabilitate and train dogs so that they could find their forever homes. Ruth started off Dog School life as a volunteer for the Dorset team and was quickly snapped up when the opportunity arose for Senior Coach. Blanka has a Diploma in Advanced Canine Behaviour with the British College of Canine Studies. 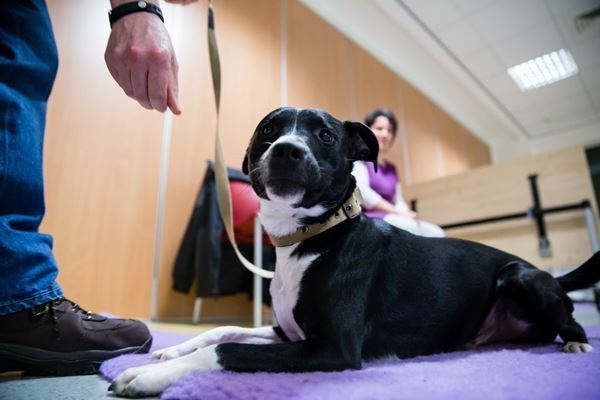 She is passionate about animal welfare and her experience of working in an animal re-homing centre has shown her how too many dogs need re-homing due to avoidable issues. Blanka volunteered for the Dogs Trust Dogs Schools in Bristol and Dorset before joining the Dorset team as Coach.